AH held sixty-five programs in various Moshavim and Kibbutzim throughout the country. 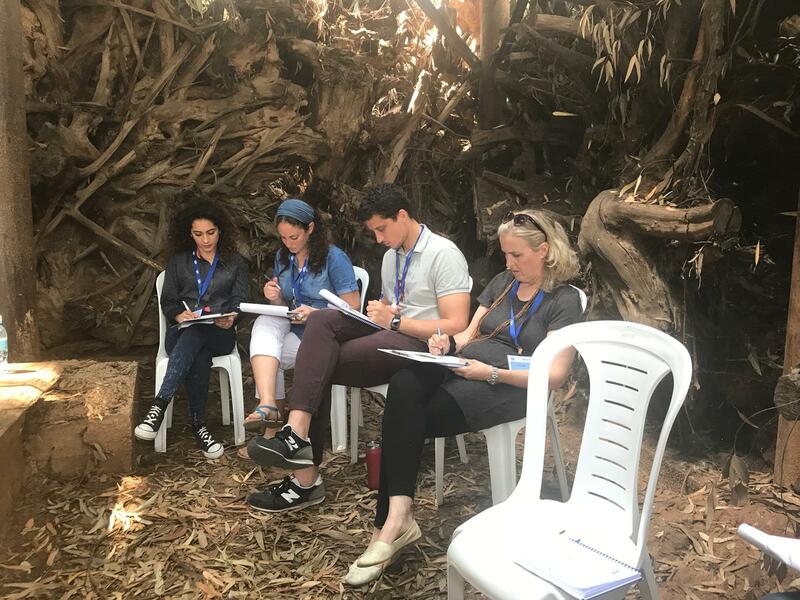 One such place was Kibbutz Metzuba, where we celebrated a “Bar Mitzvah”, marking the completion of two years of learning: thirteen participants, learning on a regular basis, finished Shir HaShirim, Pirkei Avos and Rambam’s Hilchos Deos! 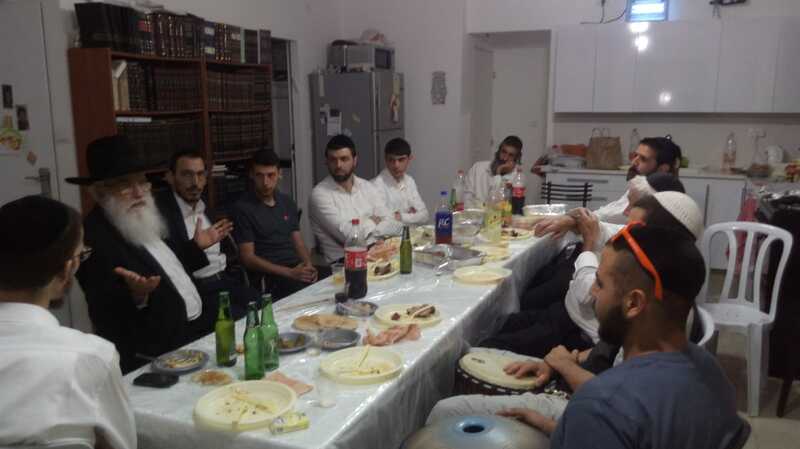 Twelve Baalei Batim completed and held a Siyum on Maseches Brochos at Nir Yaffe in Emek Izrael. 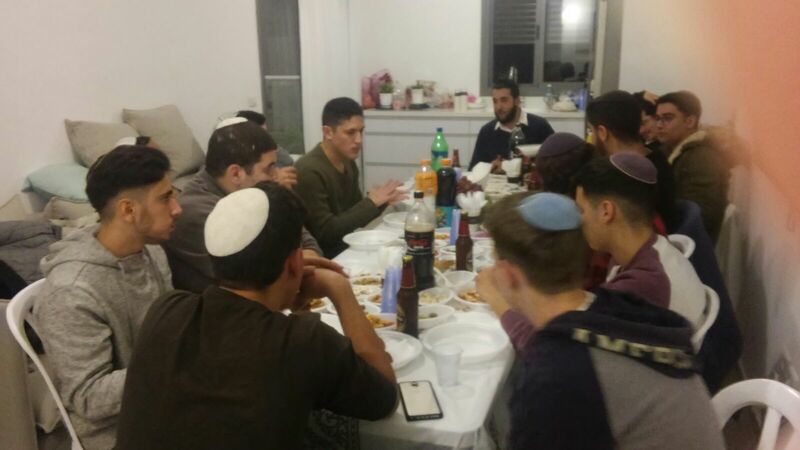 One Young Man (Modi’in) completed and held a Siyum on Maseches Bava Basra. 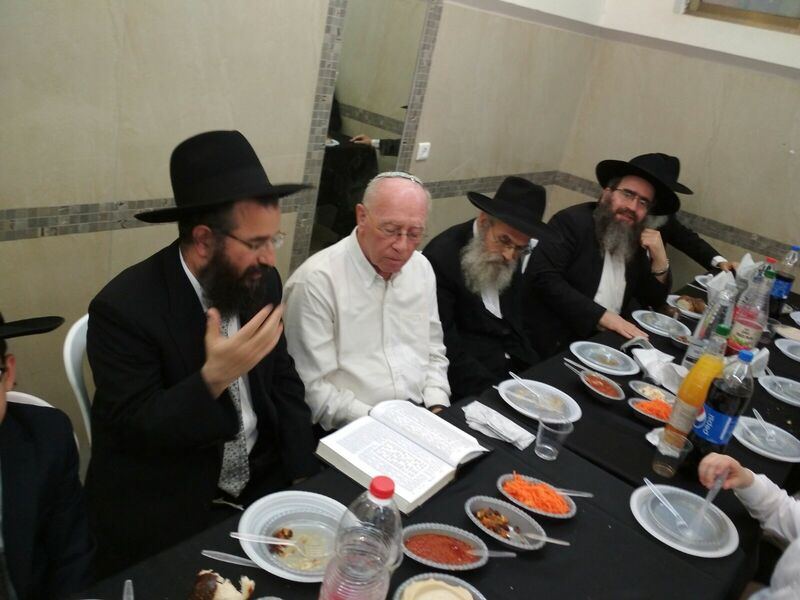 Six men completed and held a Siyum on Seder Nezeikin in Rav Kanievsky Shli’ta’s home. After the Siyum, AH together with the celebrants, visited Rabbi Ze’ev Berlin, Shli’ta (son-in-law of Rav Aharon Yehuda Leib Schteinman ZT”L) and the Modzhitze Rebbe Shli’ta, Rav Chaim Shmuel Taub, Rosh Yeshiva, Yeshivas Imrei Shaul and Darkhei Torah of B’Nei Brak. 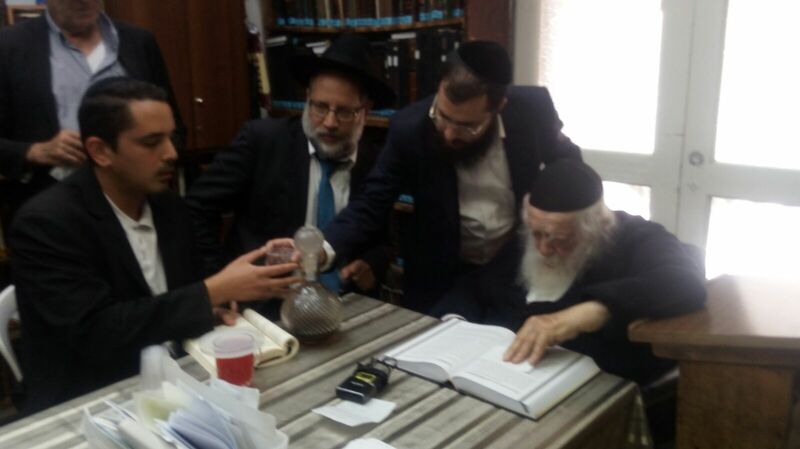 Harel Kanievsky, (Rav Chaim Kanievsky Shli’ta’s nephew, whose grandfather was the Steipler ztz”l’s brother. 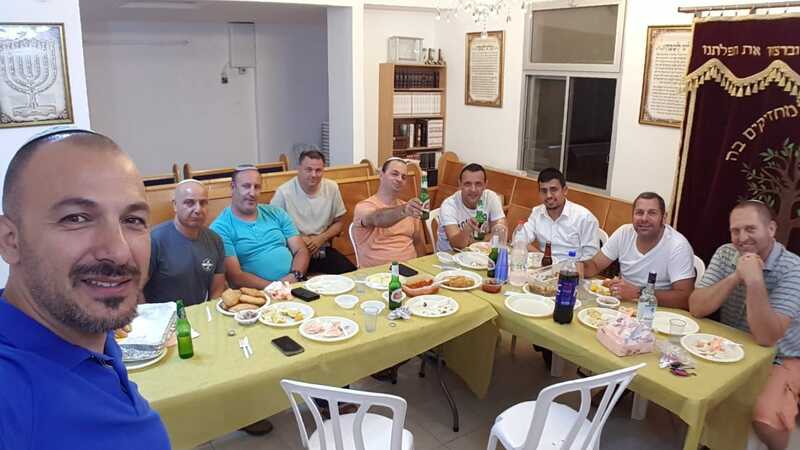 Harel, who grew up and attended public school in Modi’in, completed and made a Siyum on Maseches Makos at his uncle, Rav Kanievsky Shli’ta’s home, on Sunday, June 10th, 2018. He had been participating in AH’s Kollel in Modi’in for a number of years. Now married, with children, he hopes to buy a house attached to our Kollel! Nitzanei HaShachar, AH’s Tivon learning program, finished Hilchos Ribbis in Shulchan Auruch. These participants learn daily from 9 a.m. until 1p.m. Before Shavuos’ they learned with the Rabbeim from Rechashim. Chavruta Program-Uniting Not Just Individuals, but Generations! 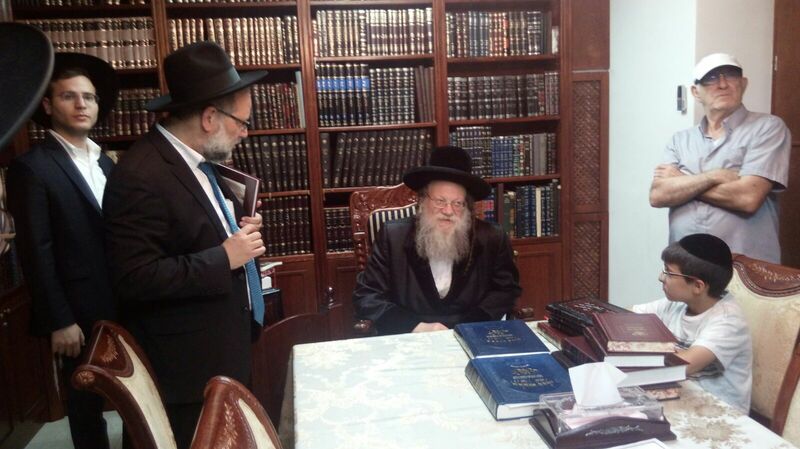 Rav Yosef Kahane (Kiryat Sefer) learned Sefer Zero’im with Avner Dishon (Eilat) for the past five years. 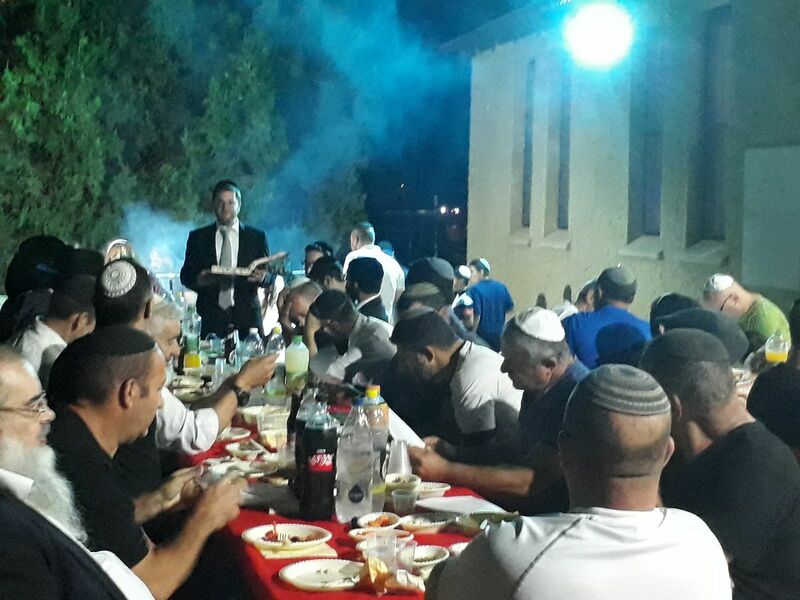 Rav Kahane chose to celebrate the Siyum on Zero’im on the occasion of his son’s Bar Mitzvah. 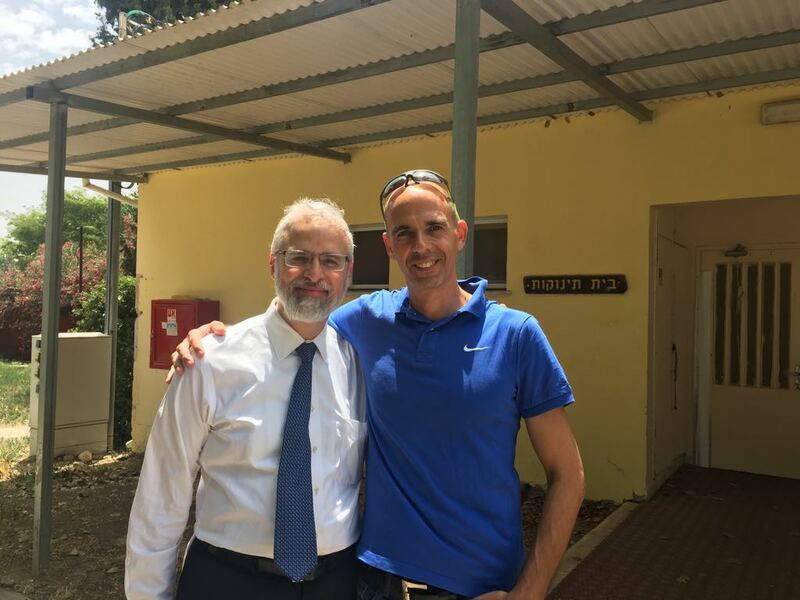 Rav Kahane said that it was his greatest honor and privilege to learn with Avner for 5 years, and for Avner to participate at his son’s bar mitzvah. Rav Mordechai Rubenstein from Kiryat Sefer, learned for nine years with Dr. Avi Azran from Ashkelon. They finished Maseches Brochos. 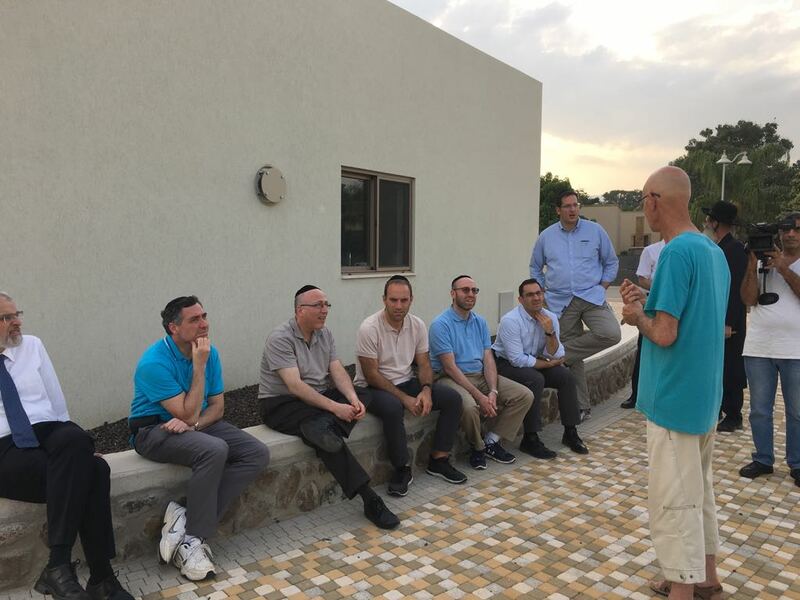 Before Shavuos, both families, with children and grandchildren, celebrated a Siyum on Maseches Brachos at Rav Kahane’s home in Kiryat Sefer. And so, AH’s Chavruta program did not only inspire the partners, but their ENTIRE families! 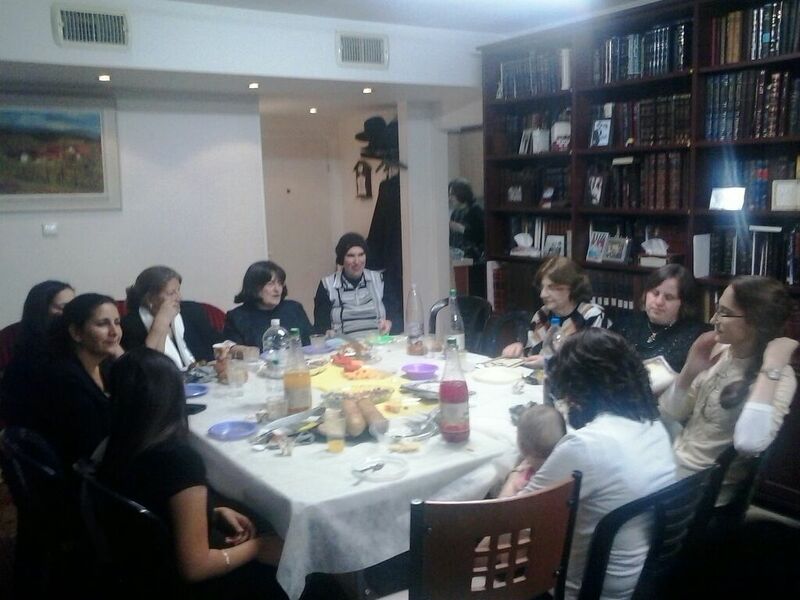 Over 700 women chavrusas, from Ma’alot to Eilat, joined us for our Learning Marathon in B’Nei Brak. Many of our Chavrusas, who are Baalos Teshuvah, now send their children to religious schools but lack the background required to assist their children in learning. AH provides these very special mothers with the skills and tools they require, to help their own children succeed in religious school. Secular and Hareidi Principals End the School Year with a Bang. 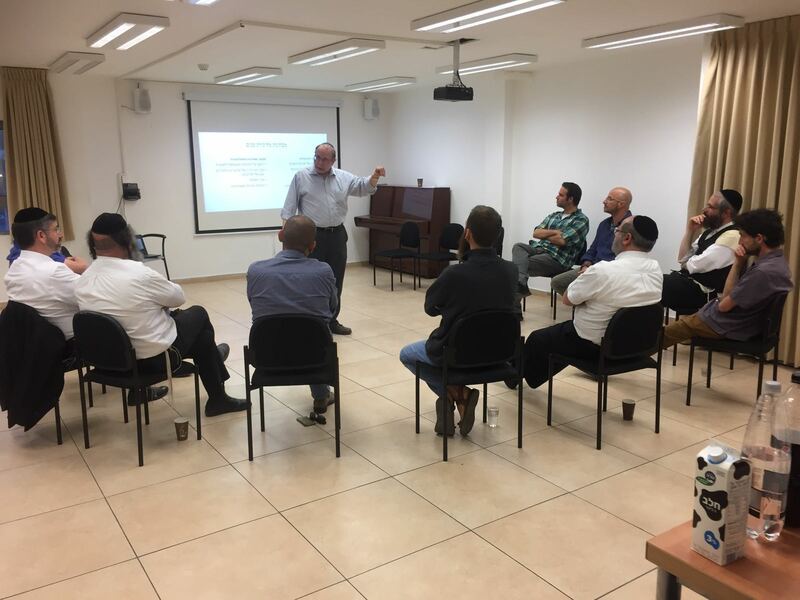 AH completed the yearly (dialogue) sessions for principals from secular and religious schools with a bang in Yerushalayim, visiting, among other institutions, the “Seminar Yashan” (The Old Bais Yaakov Seminar-Girls’ High School), and Yeshivas Mir where they met Rabbanit Finkel. 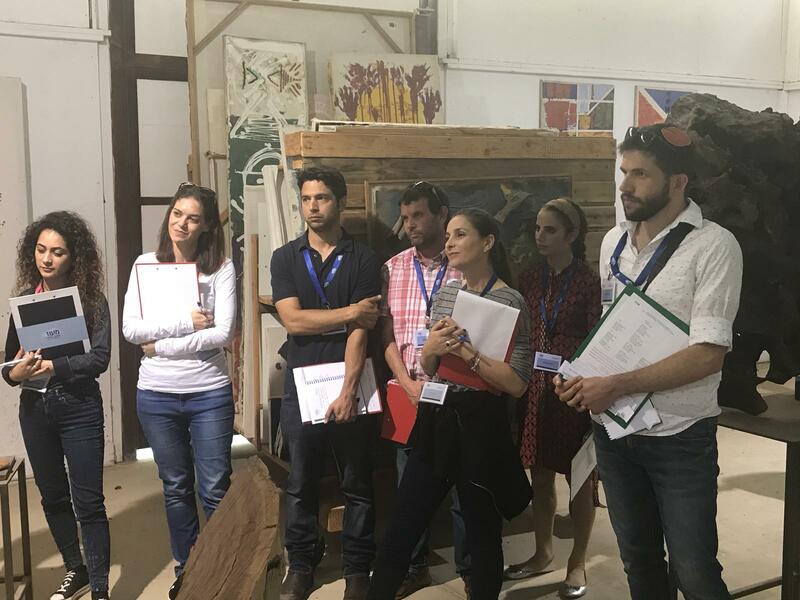 Nine Jewish teachers from secular schools in Mexico participated in these final sessions (to learn how we share our Jewish identity with each other) and afterwards, they each asked to join our Chavruta program. I wanted to express to you, on behalf of the group and also personally, that we all came away thinking the day spent with you was the highlight of the trip. Thank you for taking us around. It was amazing to see you in action and giving chizuk and love of Torah to Jews who don't know anything about it. May you continue to see the fruits of your work blossom, may Hashem give you only simcha, nachas and joy and may you be zoche to continue to be mekarav Jews for many more years to come! Chazak, Chazak, Venischazake!! We are going to partner with you and sponsor an Avreich.